The Fresno State Women’s Water Polo Club will host the annual Collegiate Water Polo Association Sierra Pacific Division League Championship Saturday, April 6, at Clovis East High School and Sunday, April 7, at Fresno State Aquatics Center. The winner of this tournament will automatically qualify for the CWPA Women’s National Collegiate Club Championship to be held May 3 through May 5 at the University of Notre Dame. 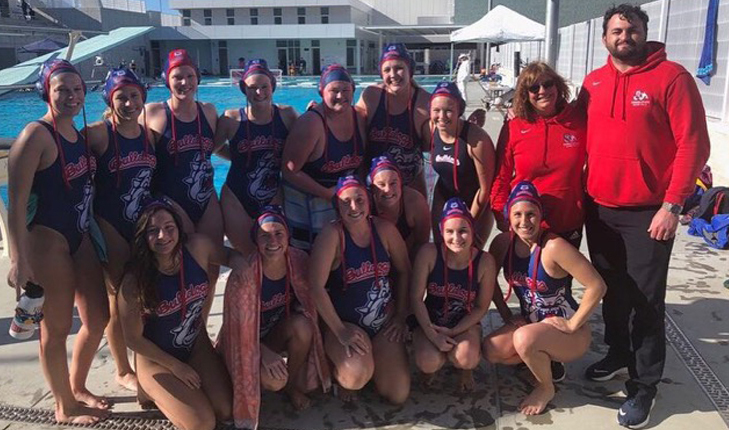 Fresno State finished fourth in the 2018 Collegiate Water Polo Association Sierra Pacific Division League Championship after an upset win over third-ranked UC Davis “B” and a single-goal loss to UC Santa Cruz in the third-place match.